Given by Grave Warden Agdayne after you pick up the King's Ring. Sold by Merchant Hag Melentia if you kill Grave Warden Agdayne. 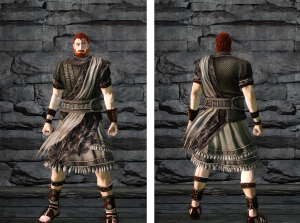 Robe worn by Agdayne of the Undead Crypt. as some have called it. But does death mean an end to suffering? Cuffs worn by Agdayne of the Undead Crypt. Kilt worn by Agdayne of the Undead Crypt. The Physical Defense attribute dictates how resilient the piece of armor is to a certain physical damage type. The Elemental Defense attribute dictates how resilient the piece of armor is to a certain elemental damage type. The Resistance dictate how resilient the piece of armor is to status ailments. Poise: Dictates how resilient the piece of armor is to hitstun. A higher poise gives a greater chance that the player will not be interrupted or staggered when hit. Durability: The durability of the armor. The effectiveness of the armor will severely deteriorate when the durability falls below a certain threshold, and the armor will become unusable and need to be repaired by a blacksmith once it reaches 0. Durability deterioration that does not reach 0 will be automatically repaired upon resting at a bonfire. Weight: The weight of the piece of armor. Note that equipping over certain amounts of your equip burden may alter movement and roll speed, as well as other factors when playing the game. 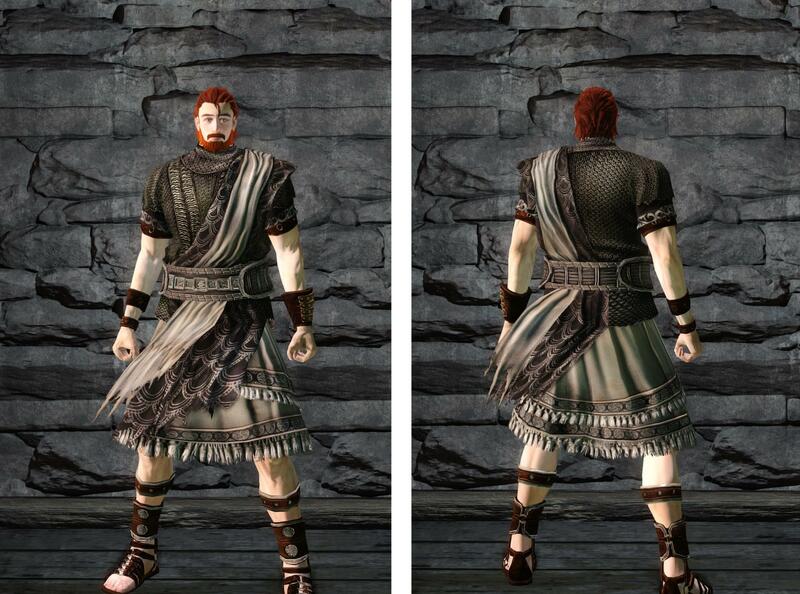 Determines how high certain attributes must be in order to wear the armor effectively. Most pieces of armor do not have any such requirements. Physical DEF Bonus: The influence of the character's Physical DEF stat on the effectiveness of armor worn. The possible ratings (from greatest bonus to least bonus) are: S, A, B, C, D, E.